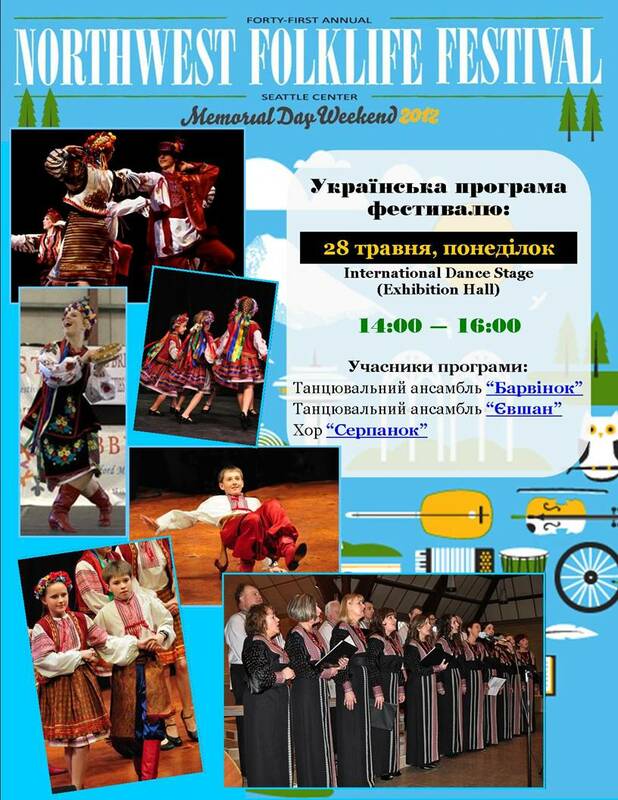 Barvinok (FB) and Yevshan Serpanok “Серпанок” Choir (FB) to perform at the 41st Folk Life Festival. Thank you to the Ukrainian American Club for the info. This entry was posted in Events and tagged 2012, 41st Annual Folk Life Festival, Барвинок/Barvinok, Серпанок/Serpanok Choir, Seattle, Ukrainian music/dancing. Bookmark the permalink.